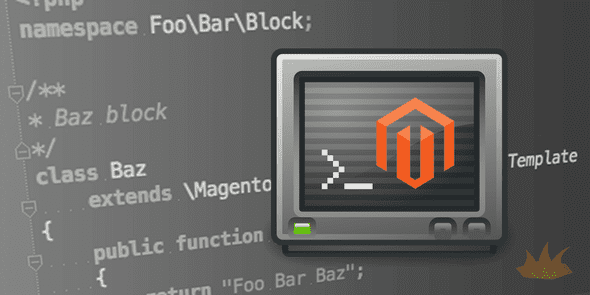 Hopefully you’ve already read Setting Up Your Magento 2 Module the Right Way with Composer & Packagist, so we can start creating our module. We won’t use Composer or Packagist in this tutorial to save some time, as we are just writing code to test out functionality. Let’s get right into things. With Magento 2, modules are not automatically picked up until they are enabled by command line. So let’s enable the module. The setup:upgrade line is needed right now because of a bug in Magento 2, but this should only be needed in the future if there are database installer scripts in your module. And with that, we’re off to the races, as enabling a module also flushes the cache for us. Explore the core base container and block layout definitions by checking out the layout and page_layout folders in app/code/Magento/Theme/view/frontend. If you need to flush the cache for any reason (if the block isn’t showing or was previously cached), you can do so with one of the following command lines depending on what cache you want to clear. Any changes to the layout XML will always require a cache flush with the layout param, while the new full page cache will need to be flushed on most PHP code changes. And with a cache flush, refresh your home page and you should see Foo Bar Baz shown at the top of the main content area! We’ve created a GitHub repository with this sample module code, which will also be updated in the future with other code samples.